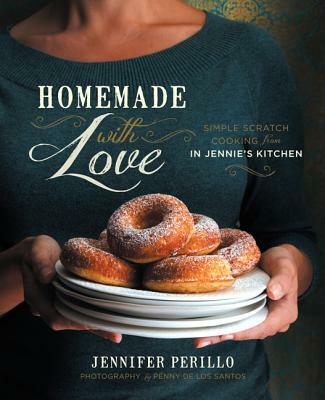 We are very excited to host Jennifer Perillo, blogger extraordinare and author of the new cookbook "Homemade with Love: Simple Scratch Cooking from Jennie's Kitchen." This book is sure to help novice cooks get the hang of from-scratch cooking, but includes new and interesting recipes that any cook will love. Whether you have been following her blog for years, or are just hearing about her through this new book, come join us in celebrating great homemade cooking.